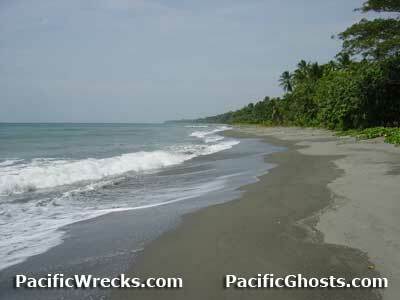 "Beach Red" was the American code name for a strech of beach on the north coast of Guadalcanal. Also known as "Red Beach". Borders Iron Bottom Sound to the north, Lunga Point to the west and Koli Point to the east. 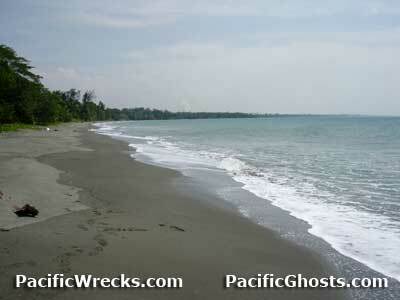 On August 7, 1942 this beach was the site of the initial U. S. Marine Corps (USMC) landing on Guadalcanal. There was no opposition on the beach and no American casualties were sustained during the landing. Then & Now Photos. 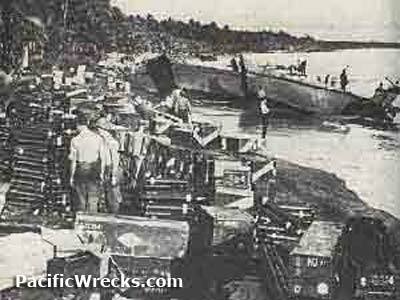 "Our reports had shown that there were a couple of thousand Japs on Guadalcanal and only about 200 on Gavutu. The reports were correct, except that they mistook the force on the Canal, they were mostly a labor force, and few fighting personnel." The Guadalcanal Beach Resort (GBR) was built near this location. Following the ethnic tensions on Guadalcanal, Australian Defense Force (ADF) Regional Assistance Mission Solomon Islands (RAMSI) made an amphibious landing at Red Beach in July 2003 to initiate peacekeeping operations on Guadalcanal and the Solomon Islands. RAMSI established their headquarters at the Guadalcanal Beach Resort until the end of their mission in June 2017 and will depart GBR during September 2017. 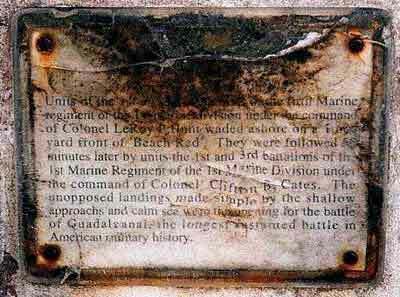 White pillar marking the landing spot of the 1st and 5th Marines needs a cleaning. The plaque (piece of typed paper between two perspex pieces) is half smashed and water damaged since 1998.